Kigurumi Cosplay For Everybody is our Motto. Share in the ultimate transformative experience and become who you wish to be. Here reside your best resource for kigurumi cosplay, industry leaders in innovation and driver of kigurumi wisdom. 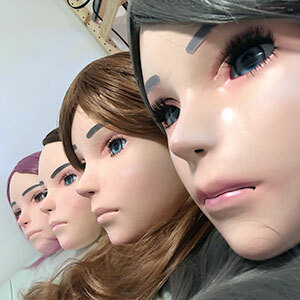 Kigurumi Masks are the key ingredient in Kigurumi cosplay. See our selection of high grade masks here. 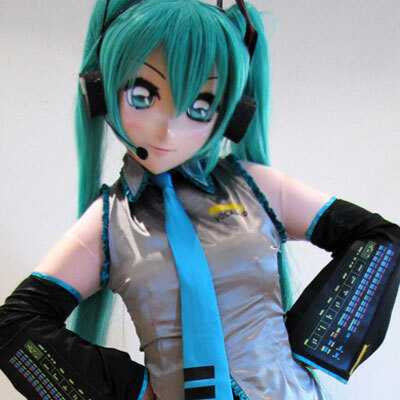 Give your body a makeover to complete your kigurumi cosplay. Choose a custom made bodysuit here. Suppose if. You can become your favourite character. How is that going to feel like for you. Here at Live Wear, we bring your favourite character from the fictional dimension into the real world as a costume which you can wear and become them. The result is an out of this world transformation, a memorable and thrilling experience. Live Wear strive to make this experience as reachable as possible to everybody. To make Kigurumi Cosplay accessible our customers is the reason for our existence. Live Wear offer customisations from anime styled to realistic faces to match. The materials are hand picked to provide the best comfort, we only want the very best for our customers. How do we know what is best? Because we are just like you with the same passion as you do. Players who became makers, that is who we are. We believe in helping our customers and community to our best ability, so we always share every bit of information on how the products are made and how we achieve our quality. So feel free to drop us a message at any time. "Whoever said one cannot buy happiness simply do not know where to go shopping" - Gertrude Stein. The key ingredient that makes Kigurumi Cosplay so special that is the Kigurumi Mask. A beautiful mask makes a big difference, so we aim to bring our customers only the prettiest of them all. The Bodysuit compliments and completes the transformation. A good pair of suit gives the wearer a second skin appearance that of a painted doll. We offer high quality custom sized suits for 100% of our customers for a perfect skin tight fit. Every now and then we will have stock we need to clear either from demonstration shoots or prototyping and these will go on special for a quick sale. These are usually one time stock and offers so while stock last. If you are ready to order but are not sure what to ask for or where to go from here, you can always drop me a message on Facebook. The Maker is expecting you. 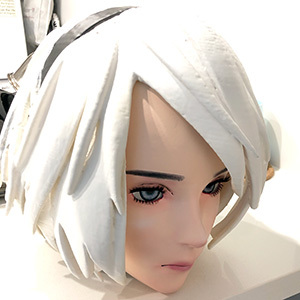 2B's real doll facial features brings the illusion of a real and beautiful person from the anime/game realm into real life. When you mix heart melting cuteness with alluring sexiness, you get the beautiful Yiho mask. Back by popular demand Saya is an anime styled beauty with easily customisable facial features.